The Clubhouse Silver Lakes is located in the trendiest and newest up and coming suburb in Pretoria East. The magnificent clubhouse complex is situated in the heart of the Silver Lakes Golf Estate, embracing a classic colonial style of architecture. 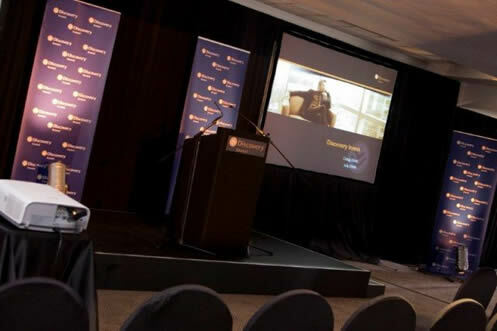 The 4 unique venue locations allow the discerning client capacity for tailor made functions, for 10 to 180 delegates. The conference facilities flow onto the expansive covered terrace area, and boasts a panoramic view of the golf course, which is perfect for breaks and function lunches. StayEasy Pretoria is ideally situated away from the city while still providing effortless access to the many government offices and embassies of Pretoria. The hotel is also in proximity to restaurants, shops and other services in this historical city in Gauteng, making it the ideal setting for leisure and business travellers. Offering reasonably priced accommodation in a quiet, relaxed setting, guests can enjoy the warm, friendly service and rest uninterrupted, and at ease. While business guests are sure to appreciate the convenient location and facilities that cater specifically to corporate travel, leisure travellers and holidaymakers will find the hotel perfectly close to the city’s local attractions. Things to see and do in this part of Gauteng vary from the renowned Pretoria Zoological Gardens to the rapid speed Gautrain, scenic botanical gardens and plenty . With a total of 136 en-suite rooms, guests are equipped with all the comforts required to enjoy a peaceful night’s sleep. Furnishings and décor are kept simple yet inviting, with comfortable beds and writing desks adding sufficient space to work, sleep and relax. All rooms are fitted with amenities such as coffee and tea making facilities, plug points, hair dryer and complimentary WiFi, while a wakeup facility is also offered for those needing an early start. Conference facilities at Pretoria offer a fully serviced meeting room that can accommodate up to 35 people. The following conferencing equipment is available as standard. Additional facilities and services can be arranged on your behalf, on request. The Irene Dairy Farm Conference Venue is a picturesque gem that nestles between the sprawling cities of Johannesburg and Pretoria. A visit to this traditional dairy farm is a must. Started in 1889, the Irene Farm has been run by the van der Byl family for 5 generations, and has become an iconic sight in the Centurion countryside. The Irene Farm’s Barn Restaurant prides itself on the 80-seat conference centre. Situated within a 120 year-old barn, the Irene Farm Conference Centre is perfect for full-length business conferences, office parties and private functions. The Irene Farm Conference Centre is the only one of its kind in the area. With the tranquil, rolling fields stretching outside the Barn, you won’t find a more serene yet suitable setting for your function. The Dairy Shop sells the raw, certified milk that is produced right on the Farm. The five litre buckets of fresh farm milk are a sight unique to Irene. The Shop also has a wide range of cheeses and other fresh fare. A favourite of the locals who frequent the shop is the Irene Dairy’s unique and luxurious thick cream which can’t be found anywhere else. Moving into the farmyard, visitors should stop by our Deck or Barn Restaurants, both of which serve a wide range of freshly-made breakfast and lunch options. The Barn Restaurant, which retains so much authentic ambiance because it is situated in one of the original farm barns, also serves sumptuous breakfast and brunch buffets every weekend. Relaxed country living in a tranquil setting has never been more accessible. Zebra Country Lodge is a 400 ha nature country retreat and reserve, with a range of general game, located only a 30 minutes drive north-east of Pretoria. Proper South African hospitality await guests at Zebra Country Lodge, which is hidden away in a lush bushveld setting 85 km from OR Tambo International Airport. The lodge has superb views over far off hills and a series of running streams as well as a lake with a distinct ambience. A gracious, air-conditioned conference venue equipped with modern equipment, to ensure a successful conference. A stylish semi-private breakaway area with panoramic views and a welcoming open fireplace create a relaxed and serene atmosphere. This sophisticated conference room overlooks the thriving gardens, while the sound of relaxing water of the excellent koi-ponds soothes your soul. The adjoining Sunset Rest is the ideal breakaway area, and this facility is perfect for small executive groups. This magnificent conference room overlooks the lake and the only watering point for game at the lodge. It is perfect for exclusive product launches and larger conferences. This venue can be divided into two sections and has a balcony overlooking the lake. The Colosseum Executive Suite Hotel was designed with a focal point on the globalization of South Africa and the geopolitical location of Arcadia, Pretoria, the capital of South Africa. A rare find in the heart of Pretoria, which is steeped in a rich and sometimes controversial history, the Hotel stands proud with a unique round design which makes it an exceptional landmark. The Colosseum, an excellent model of the old meeting the new, was designed in 1960 and refurbished into a top class 4 Star Hotel in the late eighties. The Colosseum Executive Suite Hotel is situated in Embassy belt of Pretoria and thirty minutes away from the OR Tambo International Airport. It features 56 rooms with a Presidential and a Penthouse Suite. The restaurant caters for 100 guests. State-of-the-art conference & banqueting facilities for up to 750 people. Tuscan BBQ Groenkloof in Pretoria is an established conference centre and restaurant famous for their spectacular buffets. With a variety of dishes, ranging from cold and hot soups and starters, freshly baked bread and a variety of salads to a range of vegetables and roasts, stir-fry made to order, venison, curries, international dishes, and so much more, there is something to suit every taste. A choice of hot and cold desserts is available, including waffles and a range of ice-creams that can tempt any palate. Tuscan BBQ’s idyllic setting lends itself to relaxing lunches with friends and family, birthdays, weddings, business functions and any other special occasion or event. The seating areas can easily accommodate groups of various sizes.